Dave offers a range of garden maintenance services : Lawn Mowing, Garden Clearance, Hedge Cutting, Turfing & Pressure Washing and more. 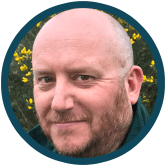 Dave Laing has lived in the Andover area for 5 years, he has previously spent many years working in the ventilation industry in both manufacturing and contract work and also has military service behind him. Having always had a love of the outdoors he decided in early 2017 that it was time for a change of career and looked at various garden franchises before deciding that Eds Garden Maintenance was the one to invest in due to its outstanding record for professionalism and customer service. He believes that Eds business model has a sound and proven track record which is by the far the best way to ensure excellent delivery and quality of work for his customers. As well as providing him with the opportunity to do what he has long wanted to do, gardening. PROMPT - RELIABLE - EFFICIENT Dave offers a range of garden maintenance services : Lawn Mowing, Garden Clearance, Hedge Cutting, Turfing & Pressure Washing. No job is to small, He can also offer a fixed price garden maintenance service which can be ideal for busy time strapped people. Dave will endeavour to respond to any new enquiries promptly with customer service his number one priority. Please call 01264 931375 and he will aim to get back to you in quick time. Hi Dave, Thanks for the work you have done, the front garden is transformed! Our Lawn mowing service can be on demand as and when you call us or on an agreed schedule and price for a number of visits. This can be modified accordingly to suit your requirements. Our Hayter equipment helps insure a wonderful professional cut to your Lawn. We offer Hedge cutting to various types of hedge including Wisteria, Leylandii and Fern, Beech,Laurel and Privet small or large we offer a great professional finish to your hedge. If you feel that your garden may have got overgrown and beyond you we can help you get it back under control with a thorough garden clearance, this includes the removal of all the waste and allows your garden to breath again. Jet washing your patio or driveway with our state of the art Stihl pressure washing equipment can make it look like new again, we can also pressure wash garden paths, brickwork, gates, steps and stairs with fantastic results. Our Turfing services are carried out with an initial visit to provide a free estimate and advise the best course of action. We offer area clearance, soil preparation, laying of quality turf, Watering, Lawn cutting and aftercare for your Lawn.